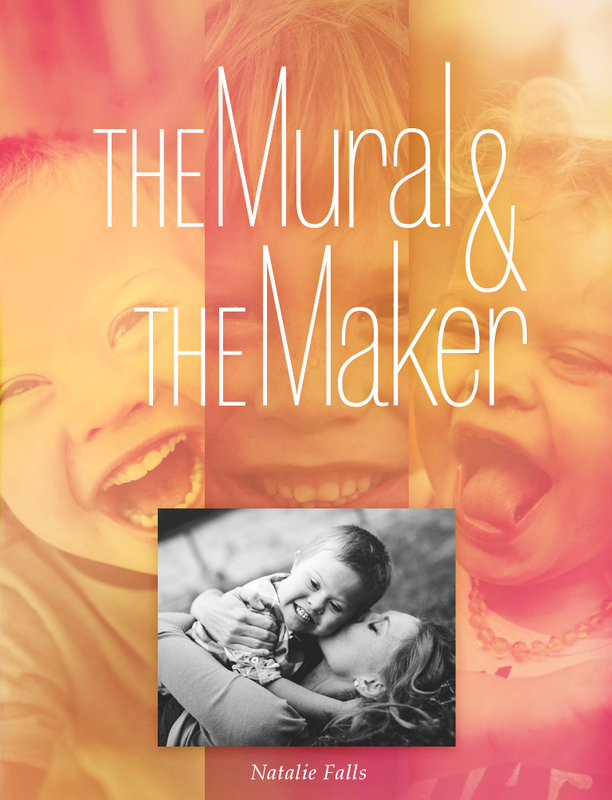 My first book, The Mural & The Maker, is now available! The ebook is available for free on iBooks, if you are using an iPhone or iPad. It is available for free as a PDF, if you are using something else to read ebooks. Click on one of the buttons below to download it. This book was years in the making. I am so excited to share it with you. Please tell me what you think! It is also available on Kindle. The Kindle version does not have any photos, and costs 99¢. When I first announced the book, I intended to release the digital edition for free everywhere. So far, I have not found a way to make it free for Kindle. Sorry for the confusion! If you can read the iBooks or .pdf version, I would download one of those instead (links above). Tell your friends about it—the ebook is free! Post the photo below on Instagram (on the iPhone, tap on it and hold until you see a a menu pop up, then tap "Save Image". Open instagram and it will be the first photo in your Camera Roll). Hashtag #themuralandthemaker and mention @natfalls.